The Centre is planning the adoption of the direct benefit transfer scheme for fertiliser subsidy to farmers. The fertiliser subsidy accounts for the second largest subsidy after food. The government spent Rs 73,000 crore as subsidy on fertilizers—which is 0.5 per cent of the total Gross Domestic Product—in 2015-16. It has been pointed out earlier that this huge amount is being allocated as diversion for non-agricultural uses. This affects a large number of small-scale farmers, who are forced to buy fertlisers at high prices. This increases the input cost of farming leading to distress among small-holders. According to the survey, distortions in urea are the result of multiple regulations. Currently, the total fertilizer consumption in the country stands at around 31 million tonnes. India imports around one-third of the total to meet its domestic demand. The survey suggests allowing greater freedom to importers. Bringing urea under the Nutrient-Based Subsidy programme currently in place for DAP (diammonium phosphate) and MOP (muriate of potash) will allow domestic producers to continue receiving fixed subsidies based on the nutritional content of their fertilisers. This will encourage fertiliser manufactures to be efficient, as they can then earn greater profits by reducing costs and improving urea quality. This, in turn, will benefit the farmers. The survey suggests imposing a cap on the total number of subsidised bags per farmer. Small farmers will still be able to get urea at subsidised prices, but large farmers may have to pay market prices for some of the urea bags they buy. 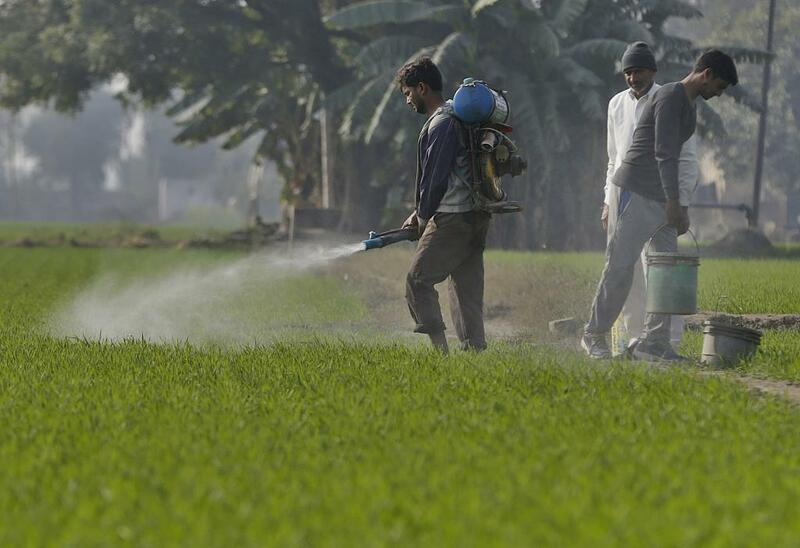 The government’s policy of neem-coating urea is a step in this direction. Neem-coating makes it difficult for black marketeers to divert urea to industrial consumers. It is not a new one --- in December 2009, I sent a report to PM [earlier to 12th Five year plan -- planning commission] proposing direct transfer of fertilizer subsidy to farmers. Based on this Fertilizer department under ministry of fertilizer Z& Chemicals appointed a committee to prepare modalities. During 2011 budget the FM [the present President of India] proposed this along with gas & Kerosene. Gas in operation linking Aadhar card. The same is to be done with fertilizer. The fertilizer department sent me reply on this on 28th December 2011.